Since 1899 Hallagan Furniture has been creating comfortable, durable and stylish furniture in upstate New York. Using the latest technology and time-tested manufacturing methods we can now offer many choices to create a sofa, sectional or chair that quite literally fits you and your lifestyle: Looking for a deep sofa and a shallow matching chair? Need to configure a sectional to fit a unique space? Wondering about staying traditional or trying something more contemporary? 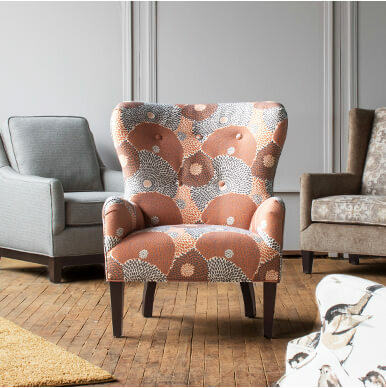 See our three Design Your Own collections below, Brighton, Highland Park and Madison. 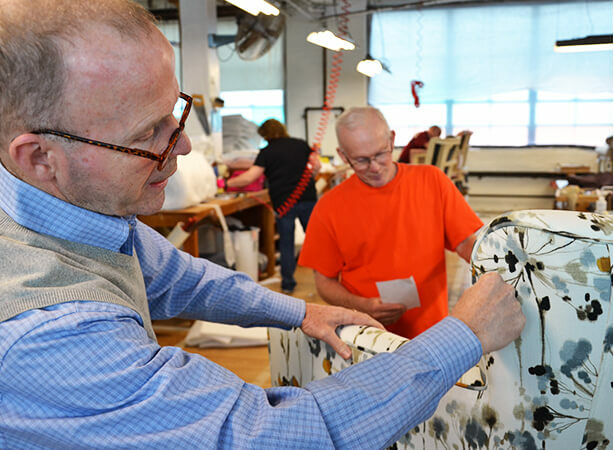 We also have a full line of chairs and specialty sofas having their own unique signature; and 700 designer correlated fabrics that can be easily mixed and matched to your taste. So go ahead, explore our website and get to know us. Welcome to Hallagan! Brighton’s low profile is great for casual conversation in an open setting; long sofas and sectionals make a compelling statement without being obtrusive. Highly versatile, Brighton can be either plush or clean and crisp. Highland Park looks back to the mid-century with simple lines and smaller scaled pieces. The collection can be both contemporary and traditional. Madison is a traditional offering with full round arms and backs; the square track arm can lean toward transitional styling. View our other accent sofas, chairs, sectionals, and ottomans. The right fabric makes all the difference, which is why we stock over 700 fabrics. 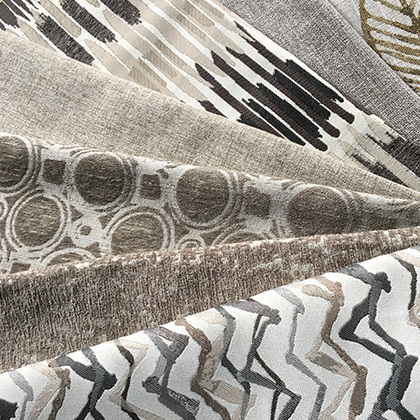 Trends in color and design change quickly, so we are continuously adding and dropping fabrics to stay fresh–you’re sure to find the latest looks for your furniture solution. What makes it a Hallagan? Comfort. Very simply -- how it feels when you sit on it, or lie on it, or curl up in it. Hallagan comfort is long lasting because we build it from the inside out. Quality. We don’t cut corners in the design of our furniture nor in our material specs. Everything is manufactured in-house to maintain high-quality standards. That includes frames, springing, seat cushions, fiber backs, fabric cutting and upholstery. Experience. We have been family owned and operated for over 115 years and have a great respect for the accumulated knowledge of our employees. Technology. We embrace modern technology and lean manufacturing methods to increase production efficiency and value for our customers. Choice. 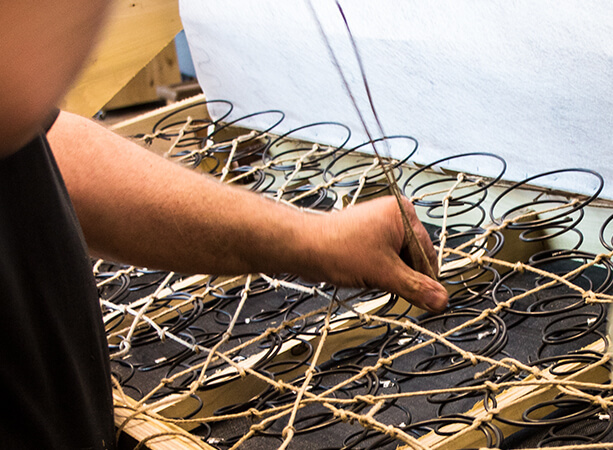 As much as possible we are let customers be in the designer seat as they create upholstery to their liking. Fabric Selection. 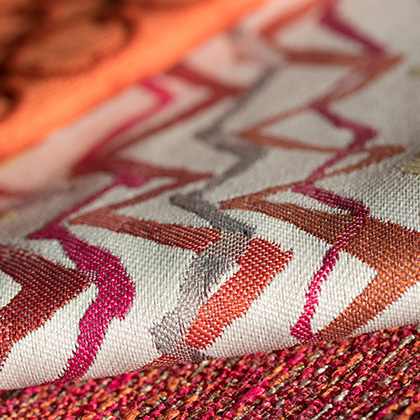 Our fabrics are designer correlated to mix and match. We will put any fabric on any frame. Fabrics are stocked at the plant in order to process orders quickly. Made in America, in upstate New York. We are a fourth-generation family owned and operated business, yet our employees are really what makes up the Hallagan “family.” Over a thousand skilled workers, men and women, have come through our doors over the past 100 years, with a strong work ethic and tradition of excellence that is alive and well today.